The elections in 1933 were won by the right and centre political forces. The government included Radical Republican Party led by Alejandro Lerroux with the suppport of the CEDA (Confederación Española de Derechas Autonomas) a coalition of right parties. The aim of the new government was to abolish the Azaña´s reforms. The left parties protested and organized several general strikes which forced the CEDA to enter in the government. 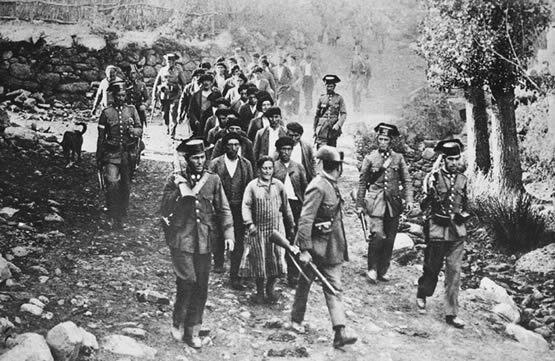 a) ASTURIAS where the miners revolted in Oviedo for two weeks and were brutally beaten by the Spanish Army of Africa. b) BARCELONA where the autonomous government proclaimed the Catalan State within the Spanish Federal Republic. The revolt was controlled. The Statute and the Generalitat were supressed. 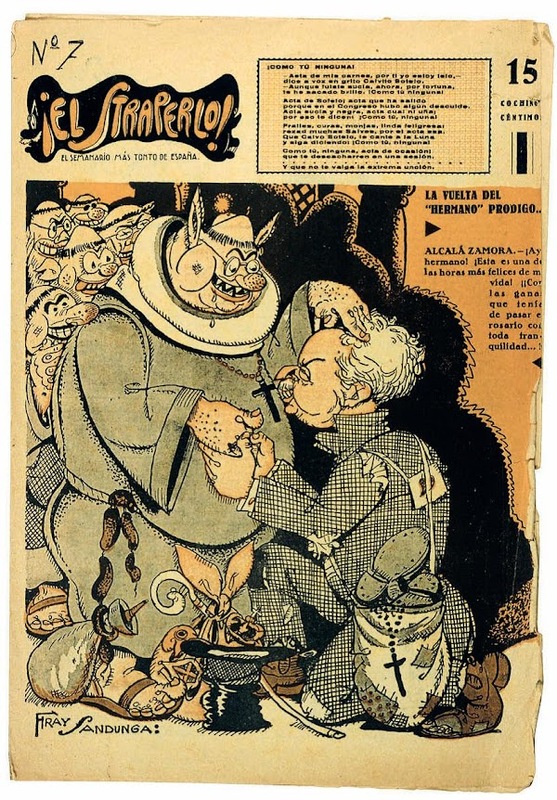 Social repression, economic problems and general corruption (Straperlo scandal) afecting politicians from the Radical Party forced general elections in February 1936 won by the left parties coalition known as the Frente Popular.